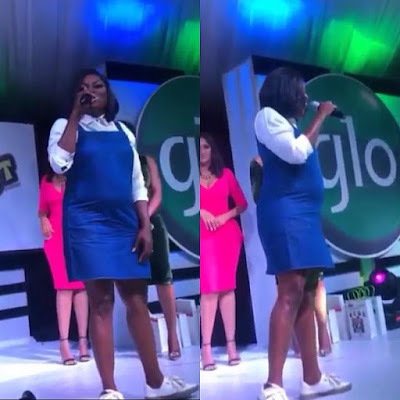 it is no new news that popular nollywood actress known as 'Jenifa , Funke Akindele is married to retired music artist JJC Skillz. 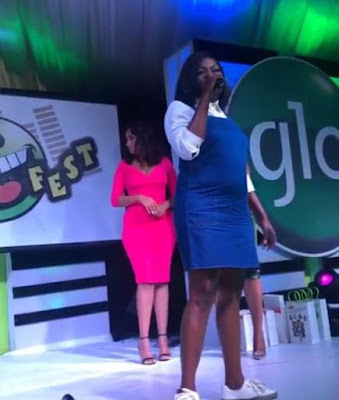 The actress stepped out glowing at event on sunday tagged Glo Lafta Fest 2017 that held in Festac, Lagos state. What Fans don't understand is that is she pregnant or its a pot belly. I may think this could be thanks to many Pizzas she is being fed by JJC. However,some fans and bloggers think she might be pregnant with her first kid.